Seating is limited and closes Wed, Oct 31, prepurchase today! 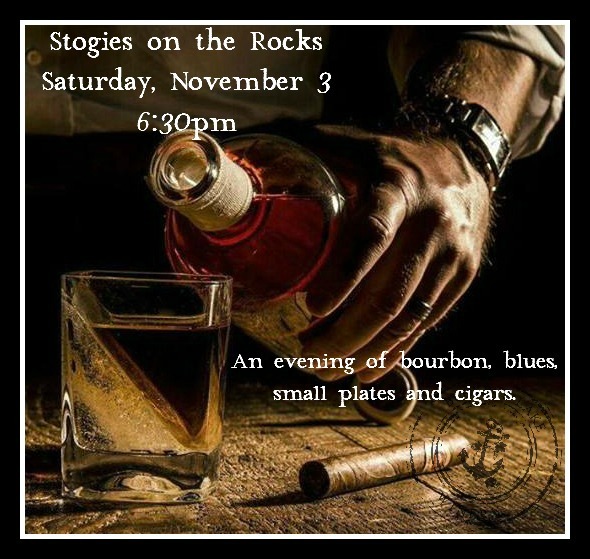 Our 2nd annual Stogies on the Rocks night is going to be smokin'!! We have an incredible menu planned for you featuring three bourbons and our port wine all paired with house-made small plates created by our culinary team. During the evening you will enjoy the outstanding and soulful sounds of Mill Street Blues Band. After dinner cigars will be available for purchase from Pipes & Pleasures of Columbus. Join us on the patio under the bistro lights to enjoy your cigar and relax in an Adirondack chair around a bonfire. Seating is limited and advance purchase required.